Viva la dolce! : Dolce To-Do ~ May List! Dolce To-Do ~ May List! It's May and the warm weather has finally arrived! Hopefully the warm sunshine and soft summer-like breeze is inspiring you to get out and have fun! If you're looking for ideas on what to do this month, search no further. I have 10 suggestions to help you enjoy the month of May! 1. Talk a walk through a park/around your neighbourhood: With all the beautiful fresh blooms and green grass, it is definitely a nice idea to take a walk and admire nature's beauty at this time of year. 2. Dust off the camping gear: Start prepping for summer nights outdoors by cleaning off your camping gear. Take inventory and see what new pieces you may want or need to add to the collection for this year's adventures! 4. Host a happy hour: Gather a few friends and invite them for some drinks on the patio or porch. Prosecco and sunshine are a wonderful combination! 5. Visit a Farmers Market: With produce just starting in it's abundance, be sure to get in on the goods. Search your nearest farmer's market and bask in the fresh eats! 6. Fill your home with florals: While there is much beauty outdoors during this time of year, indoors can sometimes need a little refresher. Grab some pretty flowers from the garden, or buy a beautiful bouquet, then place the arrangement in a welcoming spot in your home! 7. Mani-Pedi Time: Get those fingers and toes season ready! 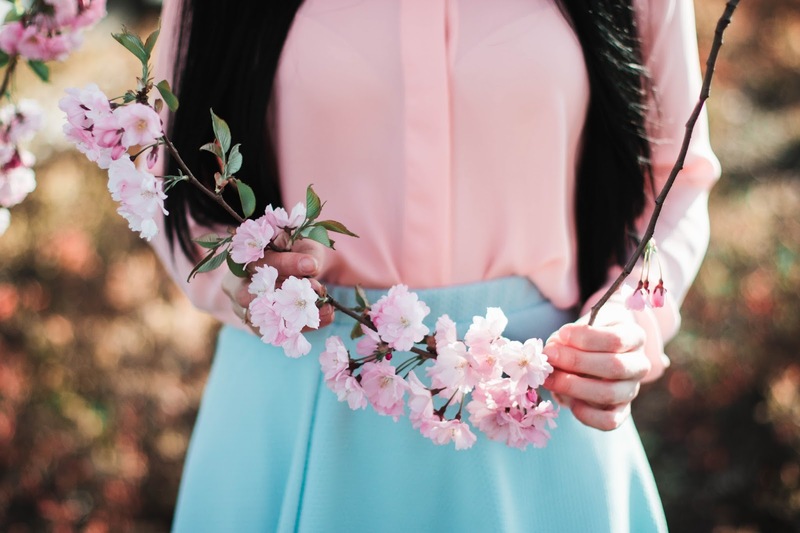 Be sure to select a beautiful pastel shade to mix with the current trends of spring. 8. Find your green-thumb: A great way to enjoy the outdoors is through gardening. Not only will you be beautifying your landscaping, but you can also experience some great exercise, and soak in some beneficial vitamin D! 9. Visit the zoo: A great time of year to see the cute animals at the zoo is during spring. It's a great way to enjoy the sights, while beating the summer tourist lines and heat!